We are headed towards 2020 and with a few decades further, we will approach 2050. Nobody is sure of what the tech future will hold for us then, but even as of now, we are seeing a tremendous advancement in technology and the way it is perceived. 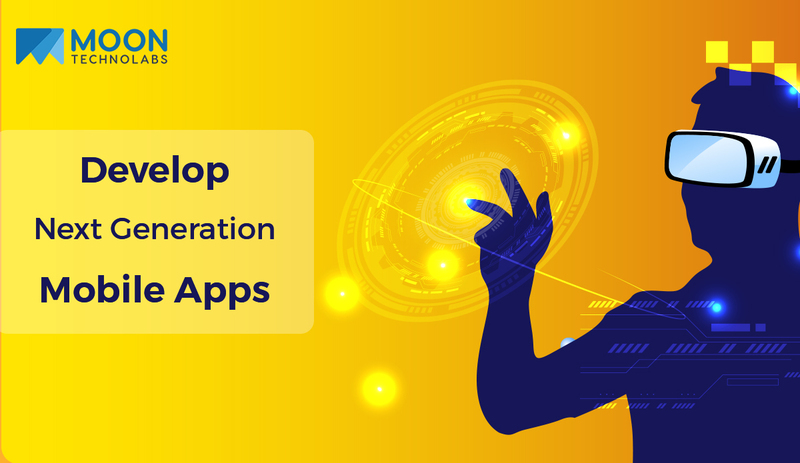 On the same note, if you are a company with a product and/or service to cater to not only the Generation X, Millennials but strongly focussing on developing the Generation Z-friendly mobile app then this guide will present you with some amazing tips. But before everything else, let’s understand and absorb few facts related to Generation-Z and what it would take for you to reach your future target audience. Gen-Z is referred to the group of youngsters born between 1995 and 2010 and they have outperformed Millenials when it comes to their own set of preferences, behavior and pattern of adopting technology and its measures. Hence, it becomes very important for a company to understand its future target audience to develop a new business app and plan the strategy accordingly. This could also be achieved by hiring the services from an Android or iOS app development company depending upon the platform. This new generation is apparently contributing to over 30% of the global population with approximately 96% out of them owns a smartphone. This ‘mobile generation’ has grown up with mobile phones and when it comes to their own notion of smartphone ownership & importance, the resultant statistics and data are through the roof. The key findings suggested that they are highly into social media and their usual communication texts include more visual elements such as emojis, gifs, stickers, images, etc. rather than the actual text or words. Also, due to their lack of concentration, they want high-speed internet and demand high-performance apps. It has been noticed that they wouldn’t think twice to uninstall the app if it is taking longer loading times and if found with bugs and low-performance. The Gen Z has an innate need of staying connected and be interactive online. Thus, building an app with in-app communication wherein they can stay connected with the network without leaving the app and disrupting the other channel would benefit a lot. Setting your app with simple design and known icons will add to the cause of being fast. Keep the app away from any complex features, functionalities and also keep it simple to use it without any user manual or instruction guide. Though providing an appealing user-interface and cutting-edge design elements with seamless navigation will guarantee to attract your future target audience. But also make sure to fix the bugs and update and improve the app with code quality and regular testing. Youngsters take and share lots of photos and videos every day and it a common problem now to run out of storage space. Therefore, try limiting your app size so as to find a permanent spot in user’s smartphone. Young generations have always welcome offers, discounts, and freebies through which their attention can be grabbed. Moreover, their wide range of network can be utilized as word-of-mouth marketing channel so as to let your app have an added advantage. Moon Technolabs carries immense experience in delivering cutting-edge solutions by developing next-gen apps in social media, e-commerce, entertainment, gaming, and many other industry segments. A well-defined approach towards mobile app development makes it the android app development company across India.